2008 the debut record “Vale” was released via Yonah records, featuring an new, strong and stable lineup with drummer Sebastian “Ghnu” Grütling, keyboardist Nils Weise, guitarist Tobias Kersting and bass player Lars Schneider. The artwork was created by artist Andreas Marschall, who is known for his works with bands like Blind Guardian, Running Wild, Kreator, Hammerfall or Nightwish to name a few. A trademark the band sticks to until today. “Vale” also shows band-mascot “ALISTER VALE” – an immortal who is cursed and has to move on and on, but everything he leaves decays behind him… an elaborate CGI videoclip for the song “The Lords Of The Flies” was released the same year. 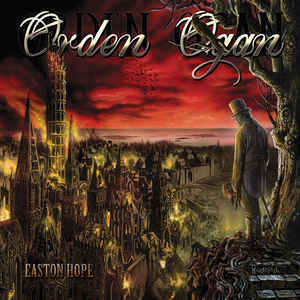 2010 the even more successful follow up “Easton Hope” was released via AFM with guest performances from Thomen Stauch (former blind guardian) and Majk Moti (former running wild). The release was followed by festival appearances at Wacken open air, the renowned rock hard festival and their first European tour supporting Tiamat. 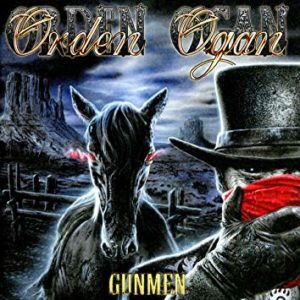 2010/2011 ORDEN OGAN toured with van canto (“we sing some metal songs” tour), did another European tour with grave digger (“the clan comes to your town” tour) in 2011 and another tour with van canto (“no silence to the end” tour) in 2011. Due to the time consuming touring activities longtime drummer Ghnu, keyboardist Nils and bass player Lars left the band and were quickly replaced by the professionals Dirk Meyer-Berhorn (drums) and Niels Löffler (bass). 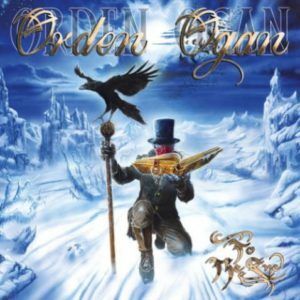 Two more videoclips were released for “to the end” – “Land Of The Dead” and “Masks”, at the same time title track for andreas marshalls horror movie “Masks” that features the film music of ORDEN OGAN mastermind Seeb. The limited digipack version of “To The End” contains a dvd with the 2010 live show from the wacken open air. The release was followed by a European tour with Rhapsody and Freedom Call (“born to sound cinematic” tour) and impressive festival appearances in 2013, such as Rock Harz Open Air and Summer Breeze Open Air. 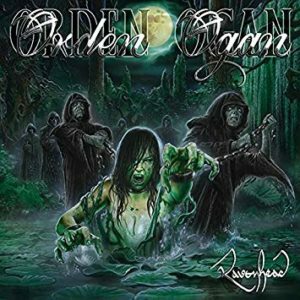 2014 ORDEN OGAN entered Seebs GREENMAN STUDIO to (as usual) to work on the new record “Ravenhead”. Seeb, who mixed records of “rhapsody of fire”, Australias “vanishing point”, or Victor Smolskis “almanac”, to name a few, evolved strongly as a producer. Carl Frederic from metalunderground.com states “the album is phenomenally produced (by Levermann himself, who has quickly become one of the best producers in Europe)”. The band only left the studio for a few selected festivals like trondheim metal fest (no), made of metal (cz), metal splash (ger) and their first ever USA performance on sept 12th at ProgPower USA (Atlanta, GA) that was met with euphoric acclaim. On January 16th 2015 “Ravenhead” was released on the kick-off date of the world-wide-(r)evolution-tour, supporting Hammerfall. “Ravenhead” hit the charts at #16 in Germany and stayed in the charts for three weeks in total and reached position #56 in Switzerland as well, while the tour was a huge success with a majority of sold-out-shows! the “Ravenhead” single “F.E.V.E.R” quickly surpassed 2 million views on youtube. 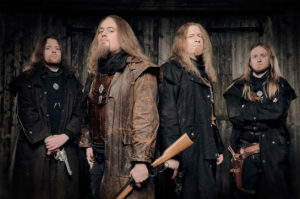 In the end of 2015 ORDEN OGAN supported Powerwolf on a European tour, followed by the first European headline tour in early 2016, with Victor Smolski’s (ex-rage) new band Almanac and Swedish powermetallers Manimal supporting. “Gunmen” was released 07/07/2017 and hit the German record charts at #8 and stayed in the charts for three weeks, just like Ravenhead. “Gunmen” also entered the official Austrian album charts on #31, official Swiss album charts on #37, #39 on the official uk rock&metal charts, #13 on the Swedish hardrocklista. 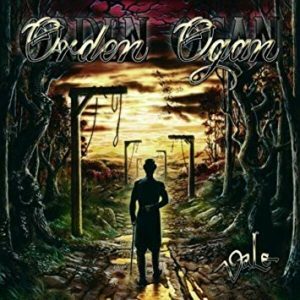 In autumn 2017 ORDEN OGAN went on the Gunmen-Headline-Tour, supported by Rhapsody of Fire and Unleash the Archers. From 24 shows in 11 countries seven shows were completely sold out (DE Bochum, FR Paris, NL Nijmegen, DK Copenhagen, CZ Prague, DE Munich, DE Siegburg).